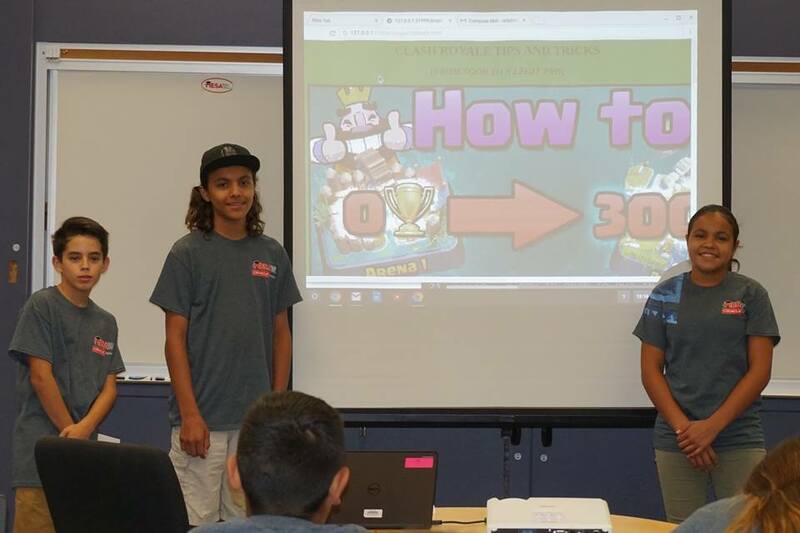 Thanks to funding from Oracle, MESA recently concluded 6 JAVA summer programming camps for middle and high school students throughout California. Over 250 MESA students participated in the summer camps where they received hands-on experience about the various ways computer science can be applied, from building websites, to coding applications, to creating video games, to writing code that interacts with Arduino devices. Teachers told us that there were floored by the enthusiasm they saw in their students as they made their way through the programming camps and slowly saw their code come to life. They were especially surprised as how eager students were to help each other get through the material, often asking for extra take-home work and volunteering to teach other students who were struggling. Students attending summer coding camps at the UC Riverside and UC Santa Barbara MESA centers also got the opportunity to spend the day touring a college campus and experience firsthand the educational path required to become a computer scientist. Students got to speak with undergraduates about their path to college, visit dorms, and participate in STEM and college readiness activities. These summer programming camps build on years of support and collaboration between MESA and the tech giant. Oracle Academy has also supported Java trainings for teachers, summer coding camps for MESA students and Alice and Greenfoot coding competitions. Follow up programming academies are planned at each of the locations throughout the fall targeting additional middle and high school students, as well as workshops for parents and teachers. These academies will focus on linking skills gained during JAVA, Alice, and Greenfoot trainings to the MESA Virtual Competition in November 2017, the MESA Robotics Invitational in November 2017, and the MESA Hack held during the “Hour of Code” in December 2017.